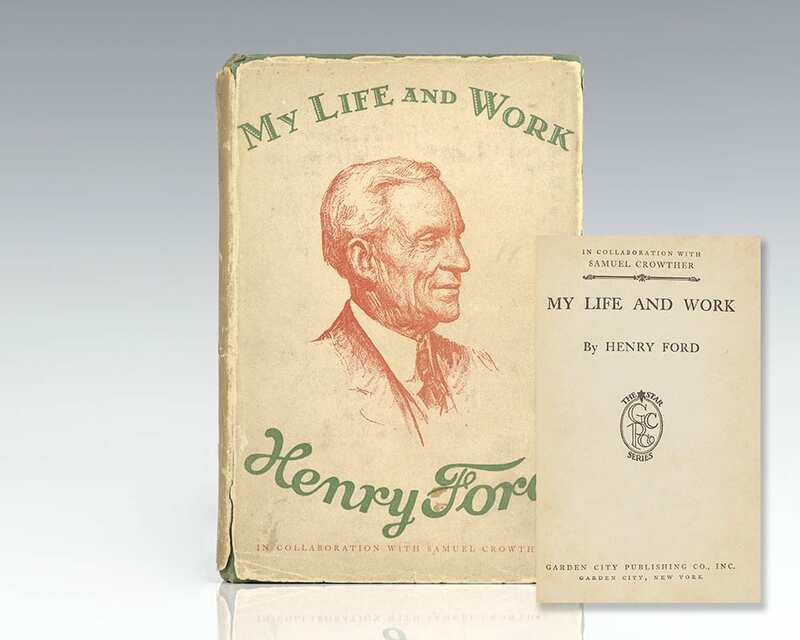 Ford, Henry. In collaboration with Samuel Crowther. Garden City, New York: Doubleday, Page & Company, 1922. First edition of one of the most significant books of the 20th century. 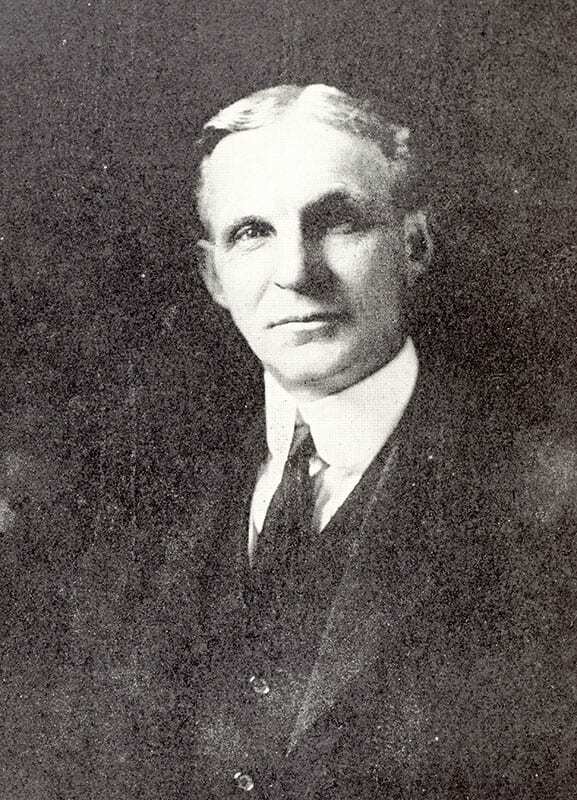 Octavo, original cloth, frontispiece portrait of Ford. Very good in a very good price-clipped dust jacket. Rare in the original dust jacket. 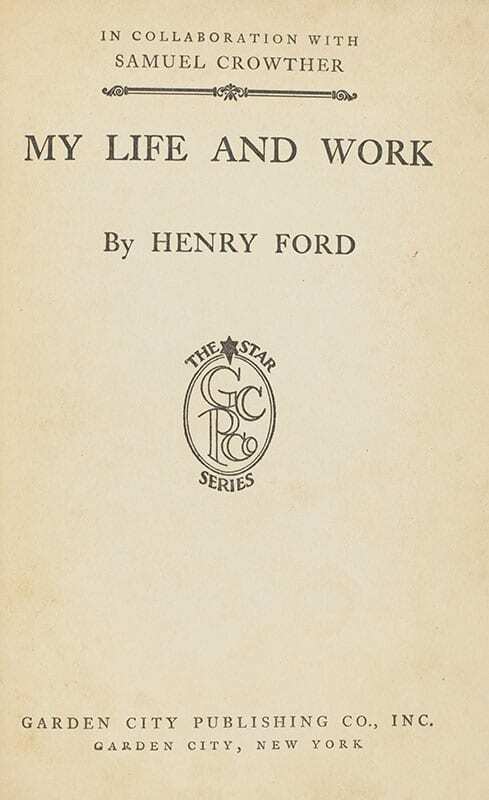 "The effect of the volume is less that of a written book than it is that of a man sitting near you at his ease and talking earnestly and with a curious sort of impersonal attitude about his life, the principles of living and working upon which he has based his success, his convictions about how the work of the world might be done with more efficiency and more happiness" (New York Times). "A notable industrial book with plenty of human interest..." (Philadelphia Public Leader).